Do not take the essential oil internally unless under professional supervision. Native to the Mediterranean region and Portugal, rosemary grows freely in much of southern Europe and is cultivated throughout much of the world, especially in the Mediterranean, Portugal, the Transcaucasus, Central Asia, India, Southeast Asia, South Africa, Australia, and North and Central America. It is a strongly aromatic evergreen shrub, growing to seven feet in height producing narrow, dark green, pinelike leaves and tiny, pinkish-purple, orchid-like flowers along its stems. Rosemary is one of a small genus that has four species of Mediterranean evergreens. The Algerian varieties are markedly different from others and are described in some herbals as being a different species. Rosemary was reputedly first grown in England by Philippa of Hainault, wife of Edward III, in the 14th century and is one of the herbs that holds a central place in European herbal medicine. Its reputation as a memory enhancer stems from ancient Greece where students wore garlands of rosemary in the belief it would help their memory, rather than studying all night. To this day, students in Greece, who are about to take exams, burn it in their homes. In times past, rosemary was burned in sick chambers to purify the air. Branches were strewn in courts of law as a protection from “jail fever” (typhus). During the Plague of 1665, it was carried in handles of walking sticks and in pouches to be sniffed when travelling through suspicious areas. In some Mediterranean villages, linen is spread over rosemary to dry so that the sun will extract its moth-repellent aroma. During Shakespeare’s time, the herb was used in topiary gardens. (Topiary is the art of training shrubs or trees to grow in unnatural ornamental shapes.) In some coastal areas of British Columbia, Canada, rosemary survives outside and makes good garden hedges. Native to the shores of the Mediterranean, the aroma of rosemary was often carried out into the warm sea air. Since the times of the ancient Egyptians and Greeks, rosemary has symbolized love and loyalty, friendship, and remembrance and has long played a part in rituals and ceremonies associated with both marriage and death. Medieval physicians believed that nightmares and anxiety could be avoided by placing rosemary under a pillow at night. Elizabeth, the Queen of Hungary, reportedly cured of paralysis in 1235 when she massaged her joints with rosemary that had been soaked in wine. Rosemary has been used for centuries to preserve fish and meat, flavour food, and scent cosmetics, soaps, and shampoos. Throughout history, herbalists and traditional healers have recommended rosemary to cure baldness, and paralysis, improve memory, treat depression and headaches, and heal bruises and skin wounds. French medics during WWII burned a mixture of rosemary leaves and juniper berries in field hospitals to prevent infection, a practice that dated to the Middle Ages. Aerial parts, essential oil Research has proven that rosmaricine is a stimulant and mild analgesic and that its anti-inflammatory action is caused mainly by rosmarinic acid and flavonoids. The flavonoids also strengthen the capillaries. Researchers today are studying its cancer-prevention potential. Some of the are potent antioxidants in the oil may help play a role in preventing cancer and the effects of ageing. An infusion are taken hot for colds, flu, rheumatic pains and indigestion and as a stimulating drink for fatigue and headaches. Tinctures are taken as a stimulating tonic and combined with oats, skullcap, or vervain for depression. Compresses soaked in hot infusion are used for sprains and alternating every two or three minutes with ice packs. A hair rinse from infusions is used to treat dandruff. Essential oil is added to a bath to soothe aching or arthritic limbs, or can act as a stimulant in nervous exhaustion. Extracts are commonly found in commercial shampoos. Essential oil is used to improve concentration by burning several drops in an oil burner. Rosemary is safely ingested, inhaled, and applied externally as an ointment, shampoo, or soaking solution. Rosemary is also used to alleviate indigestion, upset stomach, and gas, as well as to speed the healing of bruises and skin wounds, and as an insect repellant. It has also been used to treat epilepsy and vertigo and to raise low blood pressure. It is valuable for fainting or spells of weakness associated with deficient circulation. The stems can be used on fires or barbecues to discourage insects. Rosemary stimulates the flow of digestive juices. The tannins and essential oil act as diuretics. As a circulatory tonic, rosemary is invaluable for all cases of poor circulation, as well as for aches and pains that come with a cold. Long-term use of rosemary tea will improve a whole range of symptoms in those with poor circulations. The infused oil also has a reputation for strengthening the heart and calming palpitations. The official German Pharmacopoeia contains a recipe for rosemary massage oil to rub in over the region of the heart. It is a nerve tonic relieving the pains of neuralgia; but since it is a stimulant, it should not be taken before bed. The herb has a special affinity for the head. It eases headaches and migraines and can be combined with chamomile for headaches or with cardamom for depression. Used alone, it improves scalp conditions, strengthens hair growth by improving blood flow to the scalp, and prevents premature balding. For a dry scalp, rub rosemary infused oil well in and leave for thirty minutes before washing out with a gentle shampoo. For weak hair with a greasy scalp, use diluted rosemary vinegar to the final rinse water. It is a popular ingredient in shampoos and hair tonics. Its action as an emollient soothes the scalp, reducing the tendency of the dermis to flake and produce dandruff. In parts of Central America, rosemary has been used for nervous disorders, to cleanse wounds and skin ulcers, to relieve headaches, and for washing hair. A poll of Mexicans found that the herb was among the top ones used, mainly for menstrual and digestive problems. Aromatherapists recommend it as a stimulating bath solution, and massage therapists use it to increase peripheral circulation. Oil of Rosemary can be massaged into joints to ease arthritic or rheumatic pain. 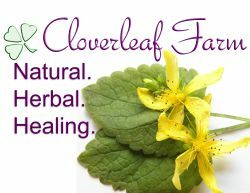 Click here for Natural Herbal Healing.